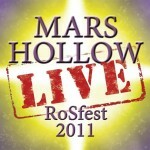 On September 25, 2012, progressive rock band Mars Hollow will release their third CD “Mars Hollow Live”, featuring their 2011 performance at RoSfest. As an extra bonus, the band is including a studio track titled “So Far Away” highlighting the new Mars Hollow lineup announced this past July. RoSfest is one of the most respected progressive rock festivals in the United States, and is held continuously each Spring on an annual basis since 2004. RoSfest 2011, where Mars Hollow performed at the coveted ‘Church of Prog’ position on Sunday morning to 600 people, was held in Gettysburg, Pennsylvania at The Majestic Theater. The 2011 line-up, consisting of John Baker (lead vocals, lead guitar), Jerry Beller (drums and backing vox), Kerry Chicoine (bass and backing vox), and Steve Mauk (keyboards and backing vox), performed live at the prestigious fest. The bonus track “So Far Away” is performed by the new lineup – Baker and Mauk along with original Mars Hollow bassist Joe August and new drummer Bob Craft. 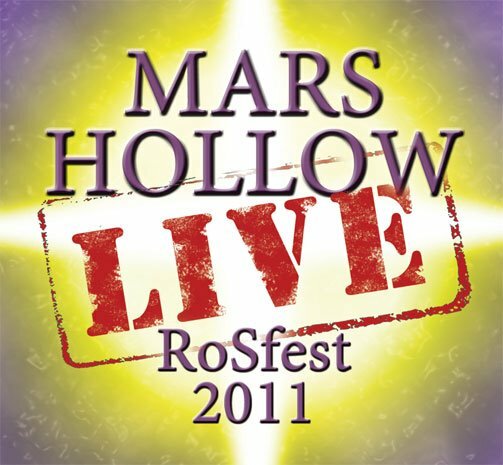 The “Mars Hollow Live” CD and digital download will be available beginning September 25, 2012 at the official Mars Hollow web site – www.marshollow.com – and soon after on Amazon, iTunes, and other major digital retailers. The new studio bonus track “So Far Away” is only available with the full album download.